What Is Streamline Refinance and how does it work? Want to refinance your house but don’t want to deal with the mountains of paperwork? We get it, so does the mortgage company, and that’s why streamline refinancing is such an attractive option. What does streamline refinance mean? In the simplest terms possible, it refers to the process of refinancing your current mortgage to new interest rates, relaxed credit, and favorable underwriting guidelines. More often than not the lower rates translate to a significant reduction of payments you will be required to make. Streamline refinance stands out from traditional refinance options because there is a lot less paperwork involved. The application process and requirements are so simple that almost everyone qualifies for a streamline refi. Need to know if you meet the requirements? HomeRate Mortgage can help, talk to us today. Are streamline refinance good options for you? Definitely yes. While they come with their own sets of guidelines, they are easier to access and will save you money from the reduced interest rates. In fact, mortgage lenders continue to extend streamlined alternatives to their customers to make refinancing and mortgage loans cheaper and more accessible. At times you don’t even need an appraisal in order to get streamline refinancing. You have an underwater mortgage (one where the value of the loan is higher than the value of the house, a situation caused by a collapse in the real estate market) because no appraisal is needed. You must have made timely payments for at least the past 6 months. Meaning that you won’t get any extra cash from the refinancing. It is possible to apply for a no cost refinance option, which will ensure that you don’t pay for closing costs from your pocket. So while you’re not getting money into your account now, you won’t be paying for the fees and cost of refinancing. The VA also offers streamline refinance (also known as Interest Rate Reduction Refinancing Loan or IRRRL) to VA loan holders. You qualify for this option if you are a veteran, but you will only be considered if the refinance will result in lower mortgage payments. This is one of the best refinance options available today because your monthly payments will reduce, the repayment period will be extended, and it doesn’t require an appraisal or credit underwriting. However, just like FHA streamline refinance, there is no cash-out option with the VA’s streamline refinance program. While not the most popular, the Home Affordable Refinance Program (HARP) streamline refinance is very beneficial for those who have underwater mortgages. As explained above, your mortgage is considered to be underwater if the value of your loan is greater than the market value of your home. The situation occurs when the real-estate market underperforms, thus devaluing houses without reducing interest rates (and thus the value of the loan). If you find yourself in that situation, you should consider a HARP or HARP 2.0 streamline refinance. Both will allow you to refinance your current mortgage regardless of its loan-to-value (LTV) ratio (although most lenders require at least 80% LTV ratio). This means after you refinance, you won’t owe more than your house is worth. All of these refinance programs are not actually offered by the government departments. Look for an approved lender to talk about your options. Does streamline refinance require credit check? No, streamline refinance do not require a credit check but most lenders will ask for a credit report and score of at least 620, as a guarantee of your ability to pay back the loan. How long does streamline refinance take? With today’s simplified procedures, and very little paperwork, a streamline should take one month at most. 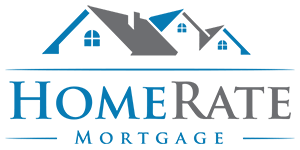 HomeRate Mortgage guarantees fast closing times. What are the main streamline refinance qualifications? Although the requirements vary depending on the type of streamline refinance you are applying for (check the previous section) and the lender, you will have to prove your ability to pay the new loan Lenders might check your income, current mortgages, and credit history. it is not a mandatory requirement, but some lenders will ask for one. Can I roll closing costs to my new loan? streamline refinance requires that the amount offered in your new mortgage should be the same as your outstanding loan. The only things that will change are interest rates and possibly other loan terms. But some lenders offer ‘no cost’ loans. Your streamline refinance rate will be lower than the rate of the original mortgage. This will lower your monthly payments and allow you to save. In some cases, if your house’s equity is more than 20%, you will not be required to pay private mortgage insurance (PMI) after streamline refinance, which means you will save even more. Although the principal amount will not change, you can pay it faster by using the monthly savings to pay off the loan. How much does streamline refinance cost? The truth is refinancing comes with almost as many closing costs as the original mortgage. You may have to pay appraisal, credit report, title insurance, recording, and survey fees. Although you can’t roll the costs into the new loan, you can shop around for ‘no cost’ streamline refinance lenders. You might waive the cost, but usually, this comes with higher interest rates. Ultimately, the benefits of a streamline refinance outweigh the costs by far. But make sure you go with a trusted lender who will work with you to get you the best deal possible.